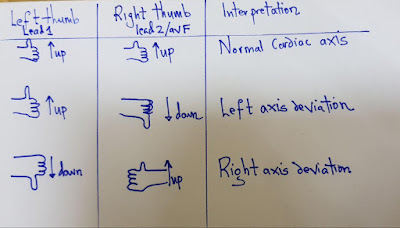 Many people think ECG interpretation is hard i will take you through the basics of it. 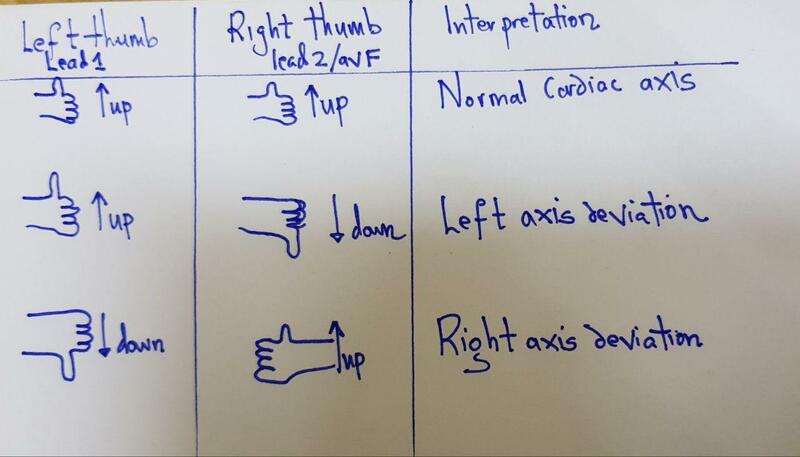 To understand how to interpret the ECG you must first understand the basics which is out of the scope of this scope. - What do the waves represent ? - What do the boxes represent ? Example: If the number of boxes between 2 R waves is 3 then the Rate would be 300/3 = 100 beats/min. Example: If the number of boxes between 2 R waves is 14 then the Rate would be 1500/14 = 107 beats/min. 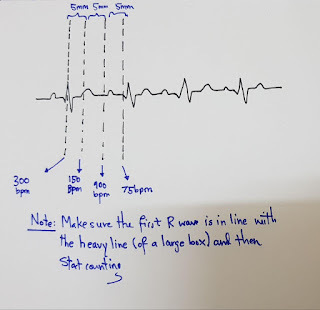 - Use the rythm strip / Lead II and count the number of R waves in 6 seconds (30 large boxes ) and multiply by 10.
b. 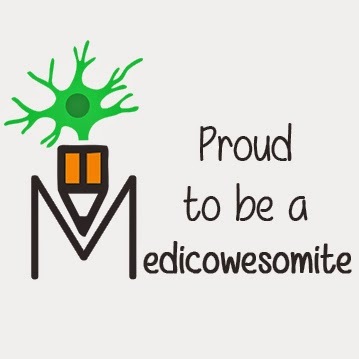 Can be short in: Pre-excitation syndromes e.g in Wolff-Parkinson-White syndrome; which involve the presence of an accessory pathway connecting the atria and ventricles.The accessory pathway conducts impulses faster than normal, producing a short PR interval. 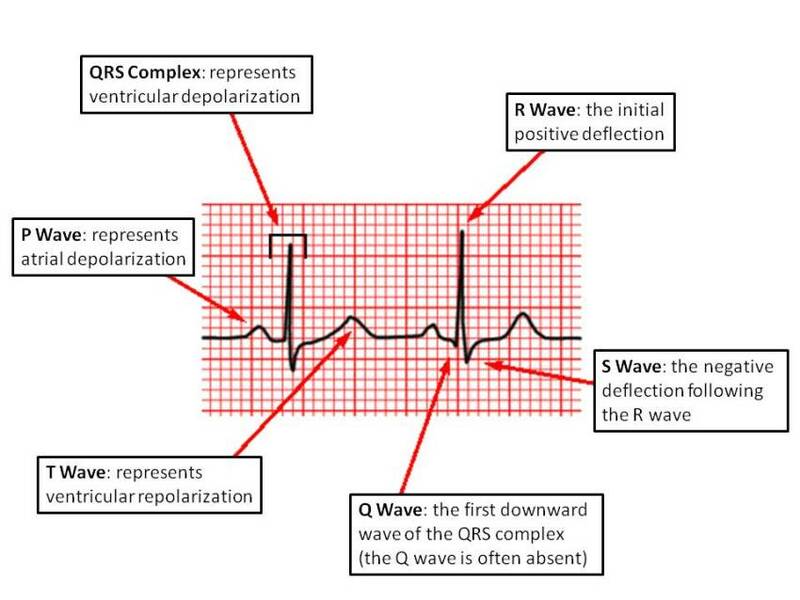 - Are all QRS complexes of same size and shape ? - Poisoning with sodium-channel blocking agents (e.g. tricyclic antidepressants) - remember this also gives you a dominant R wave in lead avR. 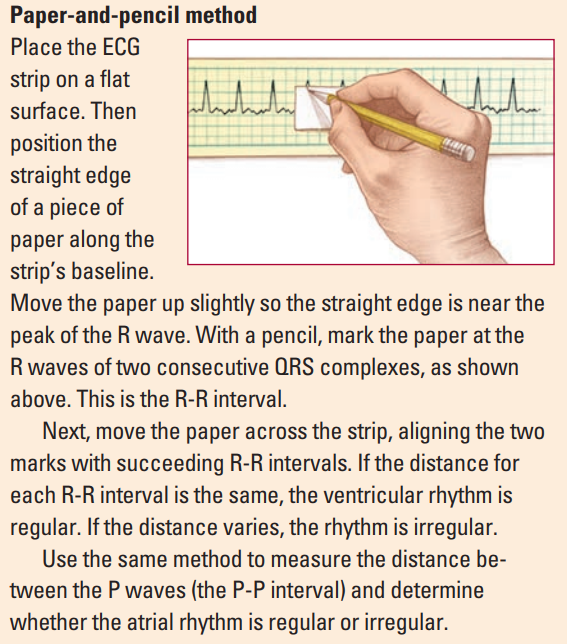 - The ST segment is the flat, isoelectric section of the ECG between the end of the S wave and the beginning of the T wave. - It represents the interval between ventricular depolarization and re polarization. - The most important cause of ST segment abnormality (elevation or depression) is myocardial ischemia or infarction. - Are T waves present ? - Do they have normal shape ? - Do they have normal amplitude? - Do they have same deflection as QRS complexes ? 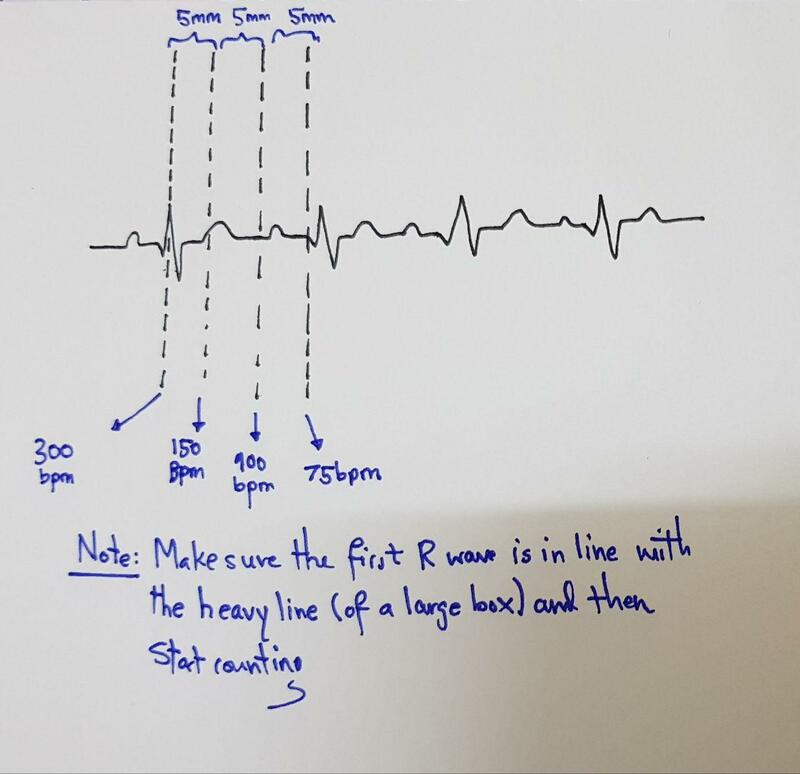 -- Due to the variations of the heart rate : The corrected QT interval estimates the QT interval at a heart rate of 60 bpm. -- Note: there are many formulas which can be used for calculation of but this is probably the easiest one. Please note that this is not everything that you need to know , and this article doesn't cover everything about the ECG, it just covers the basics and the most common abnormalities that can be found on an ECG. But for sure ! It has just enough information which can help anyone understand and interpret and ECG. Final year medical student, MUHAS.